Special event catering in Bozeman and Big Sky for a celebration you (and they) will always remember. Planning an event is no simple task. 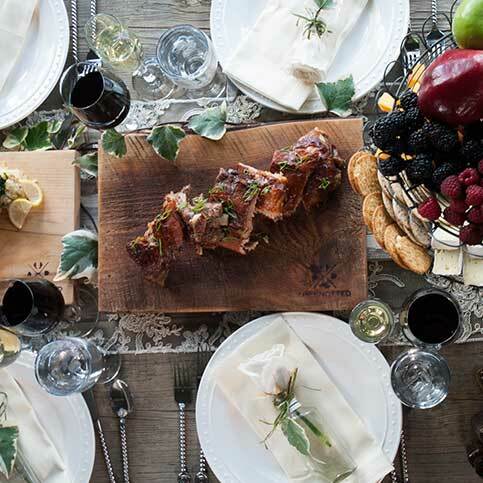 Choosing a venue, coordinating guests, planning the decorations – you’ve already got a million things on your plate. We believe that our job is to make the food and catering the last thing you have to worry about. We love crafting customized menus for special moments, including family gatherings, birthday parties, anniversaries, and graduations. 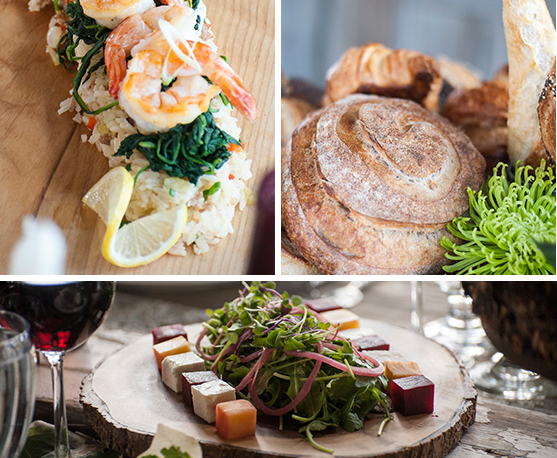 We’ve provided mouth-watering full-service catering for every type of event. Add a special flare to your event with a customized menu. Our menus are created with passion from high quality local and organic ingredients that reflect the beautiful seasons of the state of Montana. Hors devours, desserts, buffet-style eating, cocktails, or full-course meals — we’ve done it all before. There’s an old saying in the event catering industry: “You eat with your eyes.” While we firmly believe that your taste buds won’t be disappointed, either, we like to leave nothing to chance. Our food and drink is prepared and presented with the utmost care. We’ve thought about every detail, from the glasses and plates right down to the forks and napkins. Do you have special dietary restrictions or preferences? Favorite foods, dishes, or cuisines from around the world? Our world-class chefs are more than capable of working with you closely to transform your foodie fantasies into a melt-in-your-mouth reality. welcoming event space is the perfect place to host your special Montana event, with rentals available by the day or the hour. 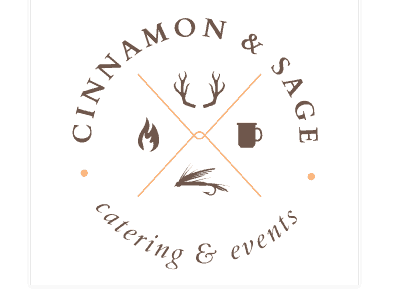 Or, we can bring full-service catering directly to you – regardless of location, we can either prepare food on-site or serve a tasty hot meal to your guests after preparation at the Cinnamon and Sage kitchens. Corporate catering services — perfect for teams who come together in excellence. corporate catering services seem to provide the bare minimum to make a quick buck. We make professional service and quality food our priority. especially in a work environment where time and money are on the line. A delicious, well-balanced meal will help your team stay energized and allow you to get down to business so your corporate events are more productive and more enjoyable for all. 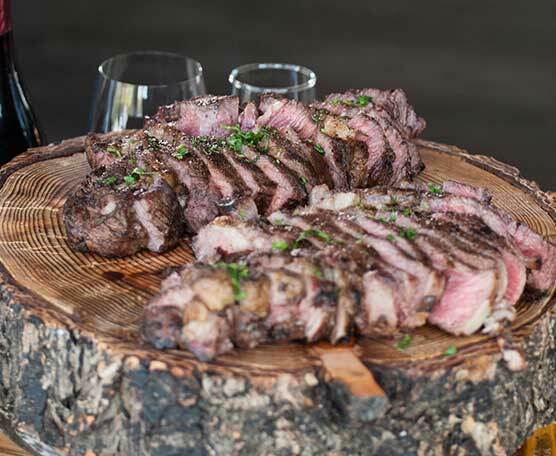 Bring a spread that impresses with corporate breakfasts, luncheons, and dinners. From hearty kickoff breakfast buffets to flavorful luncheons and unforgettable dinners, we’ve been providing reliable corporate catering services and delicious foods to Bozeman and Big Sky businesses for years. Choose from one of our classic Montana menus or build your own to suit the needs of your coworkers. In addition to healthy breakfasts and lunches made from local organic ingredients, we serve an assortment of gourmet coffee, tea, and refreshing beverages so you can keep the creative juices flowing all day long.